​​​AOS provides advanced, detailed, and cost-effective infrastructure inspection solutions using state-of-the-art technology and software. Hard-to-reach assets are viewed at close range, and in most cases, the job site remains fully operational to avoid inconvenience due to closure. The infrastructure inspection data is easily uploaded to cloud storage, so that it is archived and accessible to all shareholders. RPAS in civil engineering are the best alternative to traditional methods of infrastructure inspection, and never compromise information quality. Monitor road and highway damage due to environmental impact and natural erosion. Maintain bridges, tunnels and other critical infrastructure to help reduce the cost of on-demand maintenance, all the while while ensuring public safety. Perform railway inspections frequently and efficiently to avoid damage and derailment. View wind turbines for structural damage. A picture says a thousand words, and videos speak volumes. 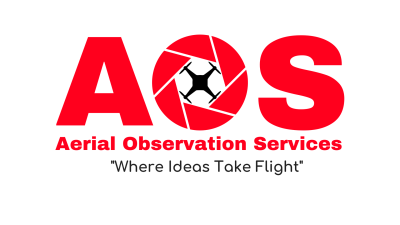 AOS commercial RPAS services leverage the industry’s most powerful aerial photography and aerial video technology to deliver powerful media to clients worldwide. Capture key factors such as proximity to major roadways, transport, water, amenities, and parks. Provide views from each floor of a building as a demonstrative exhibit for your clients, offering a uniquely powerful marketing and sales tool. 360 panoramic views can be stitched into images or videos to display on your platforms for clients to see what kind of views they can expect. Create professional videos of your commercial real estate to showcase to clients providing stunning video shots from overhead and detailed close-ups even in the most crowded city sites. Manager’s need accurate situational awareness because in today’s world of complex logistics, capital constraints and ever-tightening schedules, just having a general idea isn’t enough. We deliver the big picture from the begining through to the grand opening. AOS RPAS can perform non-interference, repetitive flights capturing high-definition imagery and video that will give you instant awareness of your project. All data collected will be provided to you typically while we are still at the work site. ​​Emergency and disaster situations change by the second, first responders, city officials and support staff need the most accurate data possible to make proper stategic decisions. When public safety is priority one, you need to know how your decisions will impact the response on the ground. Manned aircraft, if available, can provide a good level of information but are expensive to deploy! If you haven’t considered adding the services of a qualified RPAS Operator to your disaster plan then you need to call us today. 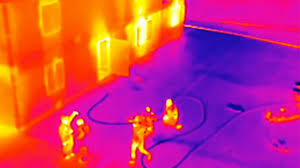 We can provide responders on the ground with real time video, photos or thermal images and can easily be mobilized to any location. Having the best information available when you need it the most could mean the difference between life & death. We are ICS 400 qualified & have 27 years of Emergency Services experience.